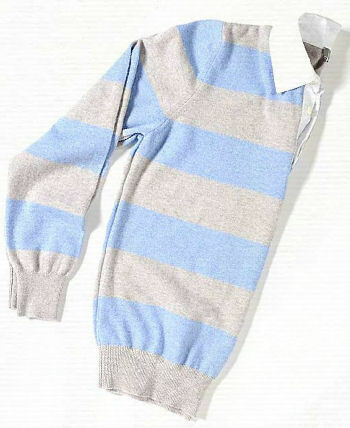 No wardrobe is complete without a cashmere sweater. Van Laack cashmere polo, 212.867.4041, $665. Thanks to the Xbox 360 Arcade, he’ll never have to grow up. It comes with six free games, including Sega Superstars Tennis and five Xbox LIVE Arcade games. Wannabe rockstars can enjoy Rock Band 2, football fans can get rough with Madden NFL 09, and movie buffs will love playing You’re in the Movies. 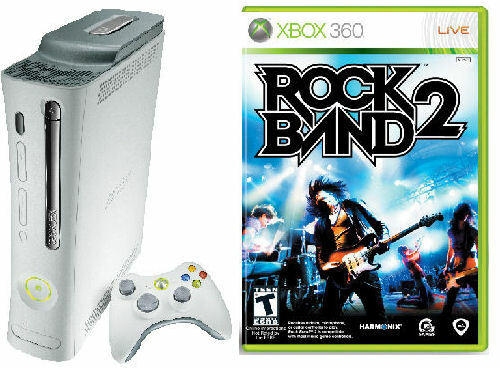 Available at Best Buy and GameStop stores, Xbox 360 Arcade for $199, Games sold separately from $59.95-$69.99. After a hard day of work, he’ll want to relax with a soothing drink. 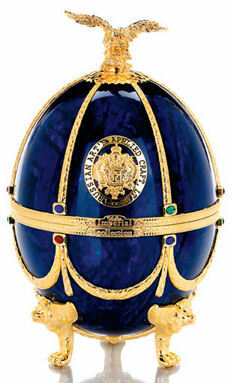 Now he can do it with class with the Imperial Collection Super Premium Vodka in this sapphire fabergé egg. 1877vodkausa.com, $2,019.99. 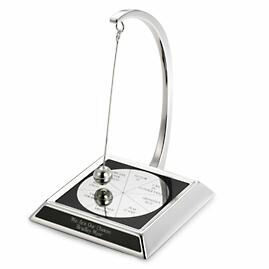 When he needs a little advice or has an important decision to make, such as “what to get you for the holidays?” he can just swing the pendulum on the Decision Maker Desk Toy. Maybe it’ll tell him to “Sleep on it” or maybe it’ll say “Go for it,” either way he’ll have some help because sometimes he just needs some words of wisdom. ThingsRemembered.com, $40. 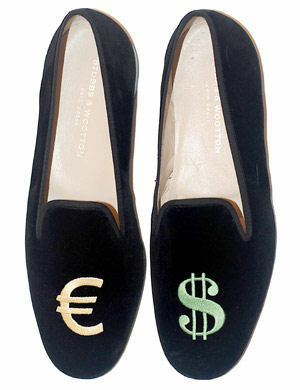 He can relax in these luxurious Stubbs and Wootton velvet slippers. Now all he needs is a dog to get his paper and he’ll be all set. StubbsAndWootton.com, $395. 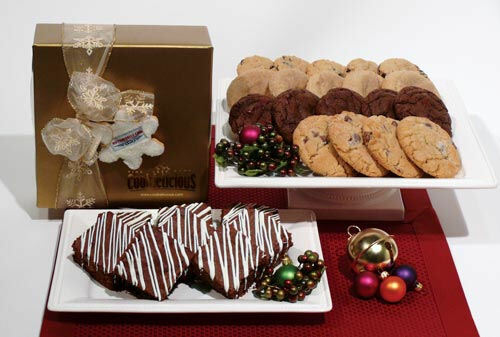 Cookielicious cookies are so deliciously fresh and home-baked, that he’ll never want you or his mom to bake him cookies ever again. Selections include Chocolate Chip, Oatmeal Raisin, Snickerdoodle, Double Chocolate Chip, White Chocolate Macadamia Nut and Milk Chocolate Peanut Butter. Cookielicious.com, Prices vary. Going on vacation? 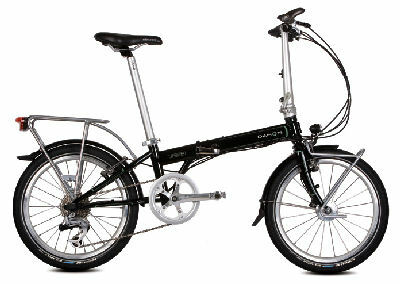 The Dahon Speed TR bike is foldable and easily packs into a suitcase, so he can tour all the hot spots and skip the taxi ride. Dahon.com, Price available upon request. What can he do with that extra room? 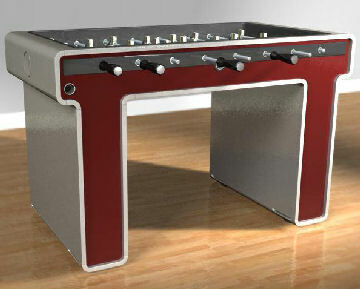 Why not turn it into a game room and put a Mars-Made foosball table in it. It comes in more colors and is customizable to his needs. Mars-Made.com, $9700.